Long story short there is a sequel to Kingsman The Secret Service (really good under-rated flick btw but totally not safe for kids) called Kingman The Golden Circle (trailer). 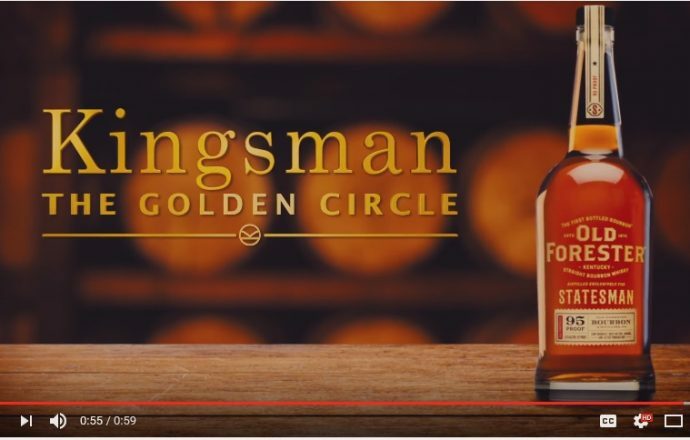 For this follow up film, the movie studio partnered with Old Forester to use their distillery for a good portion of the film that takes place in Louisville. With the partnership, OF decided to release a special bourbon in honor of it called the Statesman. I don’t know much yet except that it’s available in August and is 95 proof.